After a long day of work, chasing after tiny humans, preparing meals and cleaning up all of the messes, it can be hard to imagine how you might be able to carve out some you time. But I always try to remind myself that you can’t pour from an empty glass - and that’s why I was so excited when I was invited out to check out the brand new One Hot Mama Salon & Spa for a little relaxing and spring refresh. This charming spot is nestled in the heart of the McKernan neighbourhood and with rustic touches throughout it’s cozy home-like atmosphere allows you to just sit back, relax and really enjoy your experience. They offer everything, hair care, massage, nail care, facials and more! But wait…hold the phones…. cause I haven’t even told you the best part yet - CHILDCARE! The rates are super reasonable too - $5.00 per child per hour for the first child, $4.00 per hour for the second child, $3.00 per hour for the third child, and $2.00 per hour for additional children. I don’t know about you but I like to use my grandparent babysitting time strategically and if I can get away with bringing my littles with me to an appointment I certainly will. My 3 year-old Paisley came along with me and she loved their play room, complete with a kitchen, craft table, books and a bed for naps. It’s even setup with a monitor so you can keep an eye on your kiddos without going into the room to disturb playtime. Tackle Bad Hair Days with Trendy Up-Do’s - This tip comes straight from One Hot Mama Owner Amanda Siltala herself - we all have bad hair days, they are unavoidable but instead of fighting back try working with your locks. If you have shorter hair Amanda recommends a half up half down style polished off with a scrunchy - they are back and are a super cute way to turn that bad hair frown upside down. For longer hair try an Elsa-inspired side braid. Amanda says peices of your hair will likely fall out throughout the day and it will make for a super cute lived-in look. Revive your Curls with a Curling Iron - as many of you know I have naturally curly hair and my entire life up until about one year ago it had never even dawned on me to take a curling iron to it until I saw a beauty blogger use this technique on a morning TV segment. Essentially you take the iron pull out a couple pieces near the top of your head that have maybe lost a little bit of life and you just curl those sections leaving the rest of your mane untouched. This technique really helps tackle frizz and it helps define some of those lazy curls the have lost their bounce. Super simply and it only takes about 5-10 minutes! Treat Yourself - sometimes the hardest part about keeping up with your look if you’re a mom is actually doing it. It can be easy to get into a routine of messy buns and yoga pants, and although there’s certainly nothing wrong with either of these things (they are definitely staples in my life) - you deserve to treat yourself more often than you do. So book that hair appointment, go get your mani/pedi girl or one of my personal favourites - go see your RMT for a much needed massage, because you’re so worth it! Say Goodbye to Dandruff - As we phase out of winter into the glorious sunniness of spring it’s always a great idea to show your scalp some love. The dry winter has put your head through a lot if you’re anything like me you may still have some lingering dandruff. Tackle flakes with a simple mixture of equal parts water and apple cider vinegar. Pop it in a spray bottle and apply after you shampoo but before you condition to banish flakes. Dry Shampoo is your Best Friend - Finally I have a confession to make…. I’ve never actually tried a dry shampoo before ! So I made a point of asking for some beginner tips and tricks from the ladies at One Hot Mama while I was there. I ended up taking home this incredible root reboot and texturizing spray from FLOW. This professional hair care line has all the quality without the super high price tag that some of the other salon brands do - which is always helpful for a mama on a budget. The spray smells delicious, it helped tackle some pieceiness (not a word but i’m making it one) and just gave life back to my day four hair. Used the FLOW Root Reboot & Texturizing spray on day four hair - super impressed with the result! This post was created in partnership with One Hot Mama Salon & Spa. Services were provided free of charge. There’s nothing like curling up with a glass of wine after the kiddos are in bed and enjoying the latest and greatest on Netflix. I’m a film fan and I love a good series to binge now and then so here are my recent top picks if you’re looking for a laugh or maybe even a good cry. 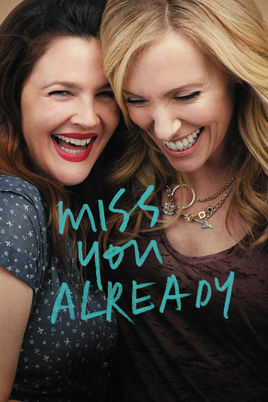 This 2015 flick starring Drew Barrymore and Toni Collette follows a long-term friendship through some serious life business. By the end I was ugly crying so hard my husband came in from an errand and asked me if I was okay. It definitely impacted my views of friendship, motherhood and cancer. A must watch! Season 8 is out ! I love watching Shameless with my husband it’s easy to watch 2 or 3 episodes in an evening and it’s just so gosh darn entertaining. The usual Gallagher train wreck is in full force for season 8 with some surprising behaviour from Frank, landlord drama for Fiona and more trials and challenges for the rest of the clan. If you haven’t started the series yet at all it’s one I highly recommend! Joeng is back doing stand up with his latest special for Netflix. You’ll remember the comedian from his hilarious portrayal of Leslie Chow in the Hangover series - and he brings much of that energy back with him on stage for the special. I loved his bits about life before Hollywood when he practiced medicine. He also spends quite a bit of time on his wife and her fight with breast cancer. It’s hilarious, touching and really enjoyable to watch if you’re needing a good laugh! I was sceptical about the Canadian comedy series - but I have to say it’s a pretty refreshing and honest take on motherhood and the realities of working with littles at home. Episodes are only 23 minutes long and they breeze by. There is certainly a character I think every mom will be able to relate to and it definitely has it’s funny moments mixed in with some of the more sobering motherhood realities. It gets two thumbs up from this mama. My littles were born long after this 2010 flick was released - breaking box office records and spawning an entire trilogy of film later on. I love it when great animated movies make their way to Netflix so I can rewatch them with my kids. Paisley is just now becoming better with sitting through entire movies and a good Dreamworks flick like this one never dissapoints! It’s Bell Let’s Talk Day and as a former Bell employee working at CTV - I always feel compelled to take part. Over the years I’ve heard so many touching stories, brave individuals stepping up to share their experiences and struggles with mental health in hopes of crushing a stigma that too often silences those affected. We must band together and start the conversation to move forward, increase access and support services for those who desperately need it and blast through all the misconceptions about individuals who are impacted by mental illness. Throughout my life I’ve always tried to remain in touch with my own mental well-being, seeking help when I needed it through therapy, meditation and self-care but after the birth of my first baby, my more wholistic approach just wasn't cutting it. 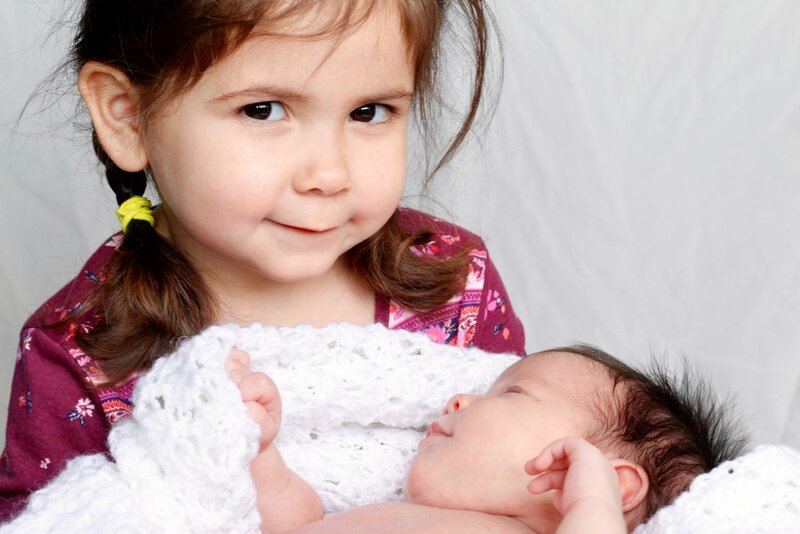 I developed Postpartum Depression and for the entire first year of my daughters life I needed to be on anti-depressant medication. The journey for me was frightening at first with many questions - Would I now need to depend on medication for the rest of my life? Because I couldn't manage on my own does that make me a weak person? Am I going crazy? Am I still a good mom? All of these fears, questions and damaging language were really just manifestations of stigmas I had unconsciously picked up in my own life. Ideas about what being on medication said about me as a person, when all it was really doing was helping to support my body and my mind during a time when I was healing and my hormones were stabilizing after birth. Under the supervision of health care professionals, I was able to wean off a year later and haven’t needed to medicate since, but for others I know this isn’t the case and that’s okay too. I recognize there may come a time in my life when I need medication again and that’s also okay. We would never scoff at someone receiving chemo treatments for cancer so why should we make any judgements about others or even ourselves if we need to treat mental illness with medication? Be kind to yourself, be understanding of others and educate yourself on ways to seek support and support others who might be struggling. One thing I’ve found super helpful in my own mental health journey is to remind myself about what is truly important. When a work problem crops up that might frustrate me, or a misunderstanding happens with a friend - I take a moment to remind myself about “My Family, My Body and My Heart.” At the end of the day it will always by my two daughters and my husband that I can rely on to fill me up, my body and my health are going to be with me always carrying me through life’s adventures and honouring myself, my heart and my passions will keep me centred and fulfilled. Anything else outside of that doesn't deserve the power i’m giving it by letting it in, letting it frustrate me or letting it get me down. So I do my best to let it go and focus that attention back on my family, my health and my heart. It sounds super cheesy I know - but it’s helped my let go a lot of negative energy over the years and helps me to feel super grateful for the these pillars and gifts in my life. It reminds me that not everyone is as lucky as I am to have such a beautiful, loving family, their health to keep them going and passions that fill their heart. Glow is the largest indoor Christmas festival in the capital region. Illuminated sculptures, playgrounds and the twinkle of half a million lights make the perfect backdrop for holiday selfies and family fun. Their Christmas market featuring local makers is sure to satisfy that Christmas shopping itch and of course the cozy indoor atmosphere is great for families with young kiddos that may not be able to weather cold outdoor temps for extended periods. We can’t wait to take in the magic of all that is Glow ! Make It! is always our annual girls day out - not only is admission inexpensive ( you can get early bird tickets for $4 ) the caliber and variety of artisans featured is truly amazing. You can even grab an adult beverage in the food truck/beer gardens area when you’re done exploring. Hayrides, an indoor petting farm, Christmas crafts and pictures with Santa await at Prairie Gardens this holiday season. The farm is a favourite summer spot for us to visit but why not for Christmas too! Head out of the city - get a little bit of crisp fresh air during the hayrides then head indoors for more festive fun. Paisley loves visiting with the birds at her nanny’s house and I’m sure the take and make sunflower bird feeders will be a fast favourite ! We had the pleasure of meeting the local Grinch and his dog max at an echo cycle Xmas photo booth event last year and let me tell you they are the real deal! Meet the Grinch for pictures with Santa and Mrs. 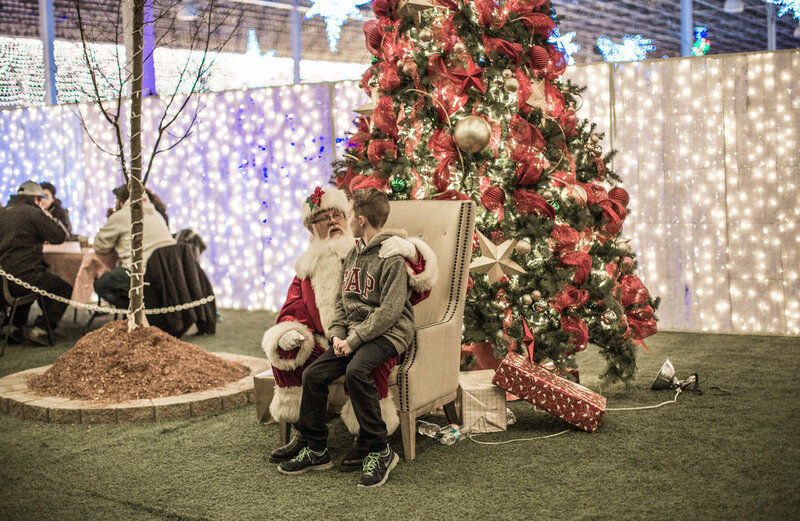 Clause at Londonderry Mall and capture an image that will long be a favourite in your family photo book. Each gingerbread house kit comes with fresh baked gingerbread, icing, a piping bag, a foil covered wooden board for your house to sit on and a selection of delicious candies! You will also get $5 in City Market Bucks (per kit) to spend on local goodies at the farmers' market after the workshop. Wishing all of our amazing followers and friends a happy holiday season !! This post was created in partnership with Christmas Glow Edmonton. 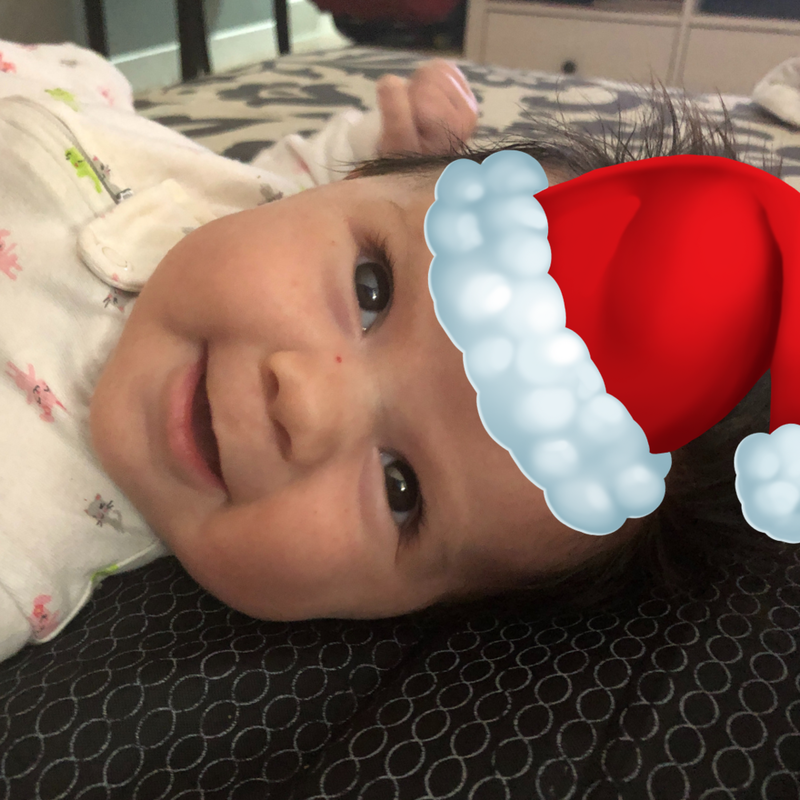 With just days to go until we reach the due date for our second baby, I am reminded of all of the joy and chaos that came along with those first few months of life when we had Paisley. Although there are certainly some beautiful memories and firsts to recall - I am also reminded of the less glamourous and scarier moments we went through in the early days. On top of the uncertainly that undoubtably comes along with a first baby I felt a lot of pressure - pressure to be the best mom (whatever the heck that looks like), pressure to truck around town visiting all of our family and friends so they could meet the new baby, and pressure to get back up and on my feet as soon as possible. These pressures I think played a big role in contributing to the Post Partum Depression I experienced in the beginning and worked extremely hard to over come and recover from. It certainly put a fog over what should be one of the best times for a mother and her newborn so as we embarked on our journey this time around I’ve spent a lot time reflecting on how I might want to do it differently. I’m honestly not a big fan of parenting advice articles or tips on how to best raise a child but I do enjoy reading a good story. Digging into how others experience challenge and parenting, I find, has helped me find my own happy medium and way of being. I came across a Pinterest article one day - a first person account of a staycation one mom allowed for herself after the birth of her young daughter. Reading through the story I felt more and more connected to this woman - her emphasis on self care and focus on taking the pressure off really resonated and I’m doing my best to create a similar oasis for my own family this time around. The basic concept of the post-baby staycation is to forgo some of the traditional pressures and expectations put on new moms even in the early weeks after delivery. Not only is your body physically healing - the mind is also undergoing its own transformation - getting to know a brand new human being all while figuring out how your family works now with this new precious life joining the mix. Essentially you unplug, stay cozy and wait to share your little one with a world of eager friends and family until you and baby have both had enough time to recover and adjust. For me this is going to mean no hospital visits, getting off social media, only taking calls necassary for those post- baby appointments and leaving the welcome baby party planning to a few key people - inviting everyone over to our place for a celebration when anyone can come enjoy baby if they wish to do so all at the same time. 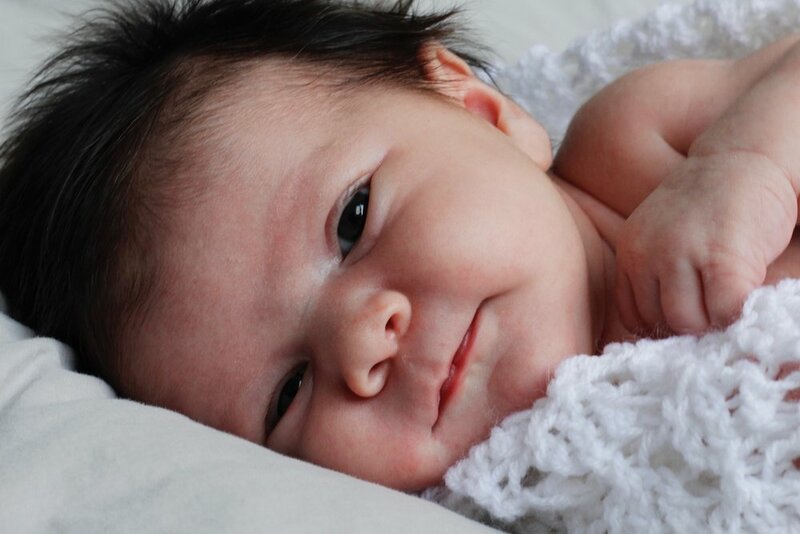 No trips across town with a newborn, no need to respond to countless check in messages, and time to enjoy our new baby to ourselves even if it’s just for a few weeks. I’ve stocked up in advance to take care of some household needs to cut down on trips to the grocery store and with a freezer full of prepared meals- change stations fully stocked with diapers and wipes and a fully supportive group of friends and family in my corner I’m really looking forward to resting , feeding baby and our family and enjoying the early moments with our new babe. It’s been a big year for the Lauzon Family, we’re expecting our second baby in less than a month, Ricky and I celebrated our first wedding anniversary in August and our little Paisley turned 3. 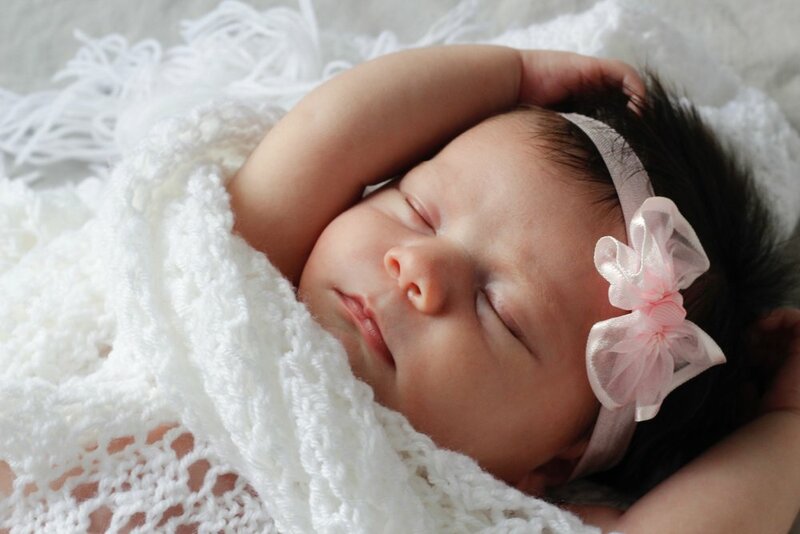 She is a very social creature and without a lot of young kiddos in our family I wanted to give her the opportunity to socialize with others her age in a structured environment. 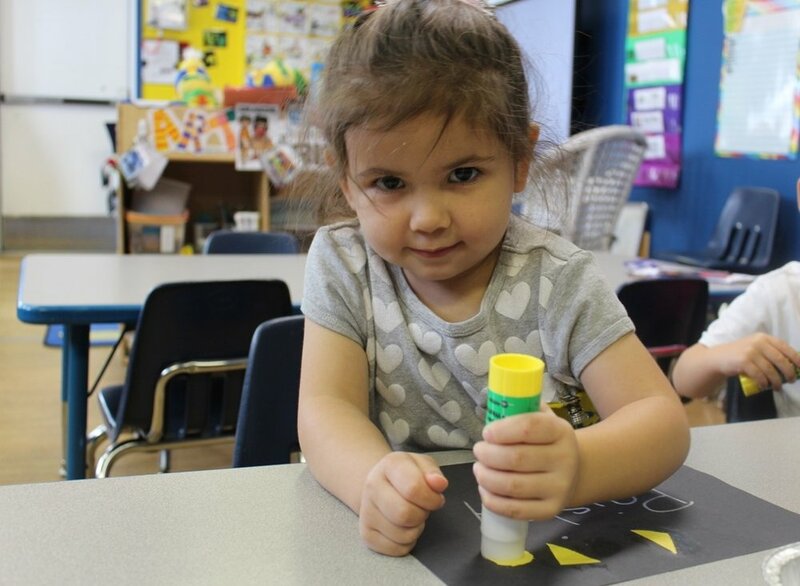 I started looking into some play school/preschool options and was delighted to find that Baturyn Community Playschool offered classes for 3-year-olds two mornings a week. Baturyn Playschool is very near and dear to my heart - because when I was a little girl I too attended classes there - meeting new friends in the community and making memories that would last a lifetime. Check out my playschool class picture circa 1995! I remember a lot from those early days - visits from Santa at Christmas, games of parachute in the open hall and the many crafts and activities we were involved in. We’ve been delighted to rediscover all of the great things they are doing now with the class and although dropping Paisley off for her first day last week was certainly bitter sweet I couldn't be more confident with the program and excited for all of the memories she will make there this year. Baturyn Playschool is a parent-run organization and depends on parent participation and support to keep its doors open. There’s also a big emphasis on field trips for the kids to explore new and exciting environments and of course along with that fundraisers to help pay for all of those trips. It offers a morning and afternoon option for 4-year-olds Monday, Wednesday and Friday, along with a 3-year-old morning class Tuesdays and Thursdays. Each day the kids enjoy storytime, craft time, gym or outdoor play, snack and free play. Parents are asked to help out in the class room 1-2 times per month which is always exciting for the little ones to have mom or dad there for the day. As we prepared to send Paisley to her very first school year there were definitely some housekeeping appointments I wanted to get checked off of the list - and her very first dental visit was one of them. I’ve been seeing a ton about Norwood Dental Centre on social media lately and I was just super drawn in by their personality and vibe. Dr. William Chin and his Fiance Amanda Nielsen, who manages the practice, took over 6 months ago and since then they’ve brought over 100 new patients through the doors. I reached out to them to see if they would be interested in sharing some tips for first dental visits and was greeted with so much enthusiasm and warmth. Here are a few details from Dr. Chin and some highlights from Paisley’s ‘Happy Visit’. My child has never been to the dentist before - where should we start? Many dental offices, including my practice, offer no-charge Happy Visits. The purpose of the Happy Visit is to ensure your child is relaxed and at ease at the dentist. During Happy Visits at Norwood Dental Centre, we give your child a spin in our cool dental chair, count their teeth and look for any issues, and show your child our dental gadgets such as the air/water syringe and the suction (a.k.a. Mr. Thirsty!). 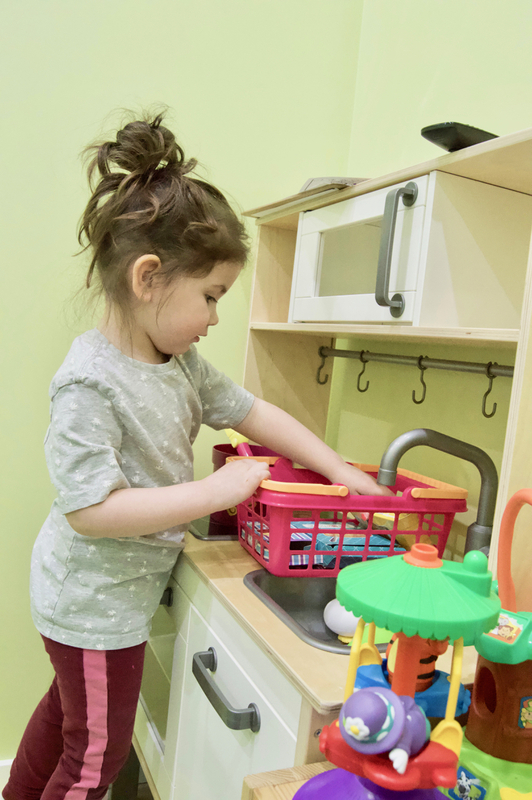 From there, the child receives a take-home hygiene kit and gets to pick a toy from our toy treasure chest. The more interested your child becomes in their dental care, the better chances they will have great oral hygiene! Happy Visits are also important for mom and dad, as they allow time to discuss any issues I’ve seen in the child’s mouth as well as any questions the parents’ may have. Once your child is comfortable with going to the dentist, typically between the ages of two and four following the Happy Visit, they are typically ready for the first official check-up and cleaning. During this visit, we complete a formal oral health exam, clean their teeth, and take x-rays if the child allows. (And, as always, we end the visit on a high note with a trip to the toy chest!). Dr. Chin, any tips for parents before bringing their little ones in for their first dental cleaning and check-up ? Let your kids see you brush and floss daily. Seeing you maintain your oral health signals to your kids the importance of strong dental hygiene. Talk to your kids about why you’re brushing and flossing, and engage them in a dialogue about why its important they do the same. 2. Check out some dental-themed children’s books. We have copies of all of these books at our practice so parents can read them to their little ones before heading into their appointment. 3. Introduce oral care into play. There are numerous dental specific toys out there, such as Dentist Barbie, Playmobil® Dentist and Patient, Play-Doh Doctor Drill and Fill Set, and JOYIN Doctor/Dentist Play Set. These toys are great, but you can just as easily incorporate oral health conversations with other toys too. Does the doll or action figure need to brush their teeth too, perhaps? 4. Make use of YouTube. We’d like to thank Dr. Chin, Amanda and their team at Norwood Dental for an incredible first experience. 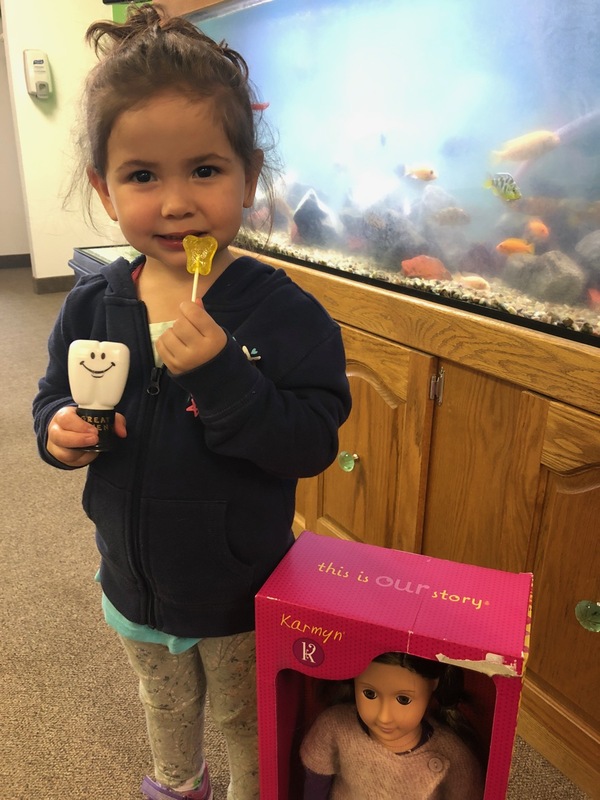 Paisley had the best visit - she loved that they had Moana already qued up for her time in the dental chair and of course was so excited to pick from the toy chest. My heart fills right up every time we get to experience these firsts with her, just seeing how proud she was of herself with her little ‘great patient’ trophy was priceless. We will definitely be back to for her first cleaning soon! I am so fortunate to have learned the craft of hand rolling authentic Filipino spring rolls from my mother-in-law Jane. She is such a strong and inspiring women - moving to Canada from the Philippines in her teens - she would eventually raise a family of six - working hard in hospitality all of her life. I never see her light up as much as she does when she’s in the kitchen - preparing traditional dishes she enjoyed as a child and passing those recipes onto her children and luckily to me too! Jane in the early years. I’ve adjusted the recipe over the years and put my own special twist on it - but every time I set myself up to almost meditatively wrap and place each individual spring roll I am taken straight back to the first time I watched Jane roll hers - intimidated by a task that now seems second nature and is actually pretty relaxing. The best part ? As we prepare to welcome our second little one in October I tripled up this recipe and froze two batches to pull out for a quick supper once baby is born. Set aside spring roll wrappers and mix together all other ingredients in a large mixing bowl. Take out one sheet of spring roll wrap and place two spoonfuls of the pork mixture on one corner. Follow package instructions to roll. Seal with a dab of water, place aside and repeat. Fry spring rolls in a pot of oil for approximately 6-8 minutes per roll or until cooked through. Tip: serve with lettuce to wrap around each spring roll for a little bit of added freshness and crunch. If you're anything like me you don't have a ton of time to think about what you're doing tomorrow let alone to book Valentine's Day plans weeks in advance. 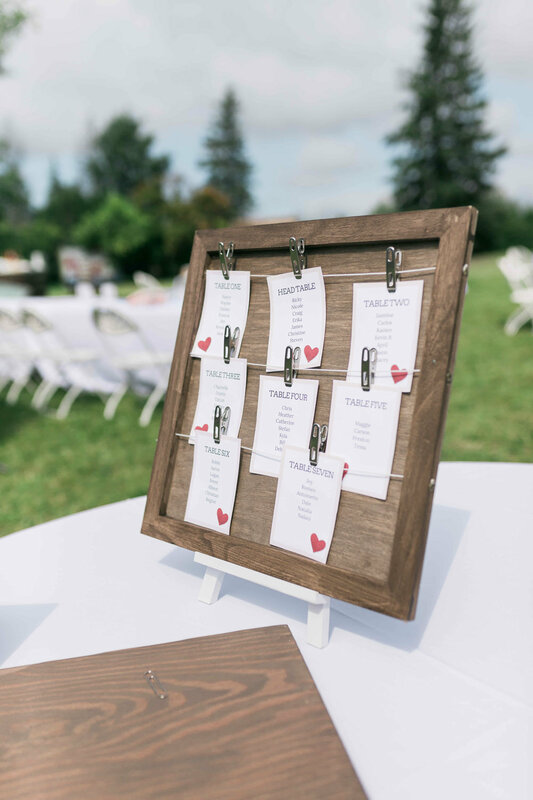 In my search for a few last minute ideas for date night on Wednesday I actually came across some great options, so in an effort to help narrow down your search here are a few of my last minute date night ideas for Valentine's. This isn't strictly a partners event but would certainly be a lovely shared experience. In a two hour workshop at Lifestyle Meditation you'll open the class with one hour of Flow yoga tailored to open the heart and release stored emotions. Follow that up with some gentle Yin, Love Pizza and wine and you've got yourself a date night. This entirely candlelit 3-course dinner is happening at the Old Strathcona Mexican Kitchen and Tequila Bar - El Cortez. The 7 p.m. seating is sold out but there are still tickets to the 9:00 p.m. seating. Pair the late night romantic dinner with a pre-dinner screening of Guillermo del Toro's 'The Shape of Water' at the Princess Theatre at 6:45 p.m. and you're set. There's five different Paint Nite's happening on Valentine's including a couple of partner paintings that look fun. No matter how many of these I do I still love an evening sipping on a cocktail, stretching that creative muscle and enjoying the relaxing motion of brushstrokes on a canvas. Use code PaintingParty for 30% at checkout, click here for Feb 14th Paint Nite events. Plenty of great performance art to take in at the ATB Financial Arts Barns this Wednesday with Chinook Series blowing into town. Tickets are $25 and are available at www.chinookseries.ca. Chinook also offers a Pay What You Will program. A minimum of 25% of seats for each performance has been allotted for patrons to contribute what they feel the show is worth, or to pay what they are able. If you're fine with celebrating a day or two after February 14th, the Meet me at Lover's Lane event at the Silver Skate Festival still has tickets available for February 16 & 17. You can't go wrong with a little hot chocolate and a romantic lantern-lit sleight ride through Hawrelak. Once you're done enjoy all of the free festivities silver skate has to offer. If you know Ricky and I even a little bit, you know we entertain A LOT . And by a lot I mean one mandatory night every weekend, usually one weeknight and even sometimes the odd Sunday breakfast here and there. We love having friends over, visiting and board gaming the night away. Having a toddler, it also makes it a lot easier on us to have our group come to us than go to them, we can put little P down for her usual 8 p.m. bedtime and continue the fun - no one looses sleep we're not forced to pack up a giant tote of overnight gear for Paisley and everyone has a good time. We are so lucky to have such a great group, that are willing to come to us all the time, so we like to show our appreciation in gifts of great food, and good conversation. This January has proved to be a bit of a challenge in the food department however, with so many in our group making a change in their lives, all focusing on their own fitness, weight loss and long-term health goals, I didn't feel like our usual pizza, wings and fried food fare would cut it this time around. Lately I've been making quite a few visits to The Chopped Leaf. In an effort to avoid traditional 'fast food', while still contending with a busy self-employed mom schedule it's been just what the doctor ordered. They have so many great menu options all packed with fresh veg, protein like chicken, shrimp and tofu and a new infused water every day - you just can't go wrong. Taking a little inspiration from The Chopped Leaf we prepared a dinner of BBQ Chicken Breast, Rainbow Salad Rolls with peanut sauce and infused waters for our latest get together. My husband loves to BBQ (yes, even in the winter) and he's always getting gifts of new rubs and sauces to try out so he was happy to shovel off all of the snow from his grill and cook up a bunch of chicken breasts for us. In the morning while Paisley was entertaining herself with her own play kitchen I went to work in mine, painstakingly rolling out 2 dozen rainbow salad rolls for our dinner. I'm not going to lie and tell you this is an easy process but once you get the first couple under your belt, you sort of get a flow of things. Served with a side of zesty asian-style peanut sauce this recipe was a winner and was gobbled up even by the most 'meat and potatoes' members of our group. First roughly chop iceberg lettuce, then proceed to cut all other vegetables into a matchstick-like shape for easy layering into the roll. Soak 1 rice paper sheet in water for 10-20 seconds, let sit while you soak a second paper for the same amount of time, then begin filling and rolling the first roll tucking in the sides halfway through your roll. Set aside and soak a third sheet of rice paper for 10-20 seconds, while that one rests, add veggies to roll number 2, roll up and set aside. Repeat until all 24 are finished. For the sauce I love this simple five ingredient peanut hoisin recipe from wander cooks. Serve with two pitchers of infused water (I did one pineapple and one cucumber but use whatever you have on hand) and voila the perfect healthy games night that will send everyone home feeling great! After helping families put supper on the table for 11 years from their south side location, meal prep business Simply Supper has now opened up a second location. The north end shop is located in Albany and I was recently invited to check out their new digs and make up a couple of meals to try with my family. Simply Supper offers a variety of different options, whether you book a session and go into assemble meals yourself, order meals that they assemble, or pop in to grab a fresh-2-go meal on the way home from work. You can choose meals in a 2-3 portion size or 4-6 portion size depending on your needs. They really help take the guess work out of what will be for dinner, and the best part? You don't have to do any of the prep work or clean up. Forget chopping onions and peeling vegetables. Simply Supper meals are scratch made to your liking without all of the blood, sweat and tears that normally goes into my dinner time crunch. You can pick from a selection of 12 different meals which they change out on a monthly basis so there's always something different to serve up. During my session I made Santa Fe Chicken, Shrimp Tetrazzini, Red Thai Beef, Honey Hoisin Pork Tenderloin, Mild Italian Sausage & Pasta Ragout and Miso Salmon. All of the ingredients are set out for you at assembly stations with your meat stored in the fridge. You just get your meat, follow the instructions at your station and place your meal in the fridge until you're ready to take them home. It was such a fun experience, and almost meditative and relaxing. Now my freezer is stocked and I can add in a simply supper meal into our weekly meal prep and planning whenever I need. We cooked up the Shrimp Tetrazzini and Red Thai Beef for dinner this week and both were a big hit, I can't wait to cook up the next meal! The icing on the Simply Supper cake is their incredible involvement in the Edmonton community. Born and raised here I have seen first hand the generosity and togetherness our residents share, and Simply Supper is definitely a part of that fabric. Each year they host an annual meal drive. Families are nominated to receive a hamper full of freezer meals. Simply Supper also organizes Lemonade Stand Day. In 2017 there were over 250 lemonade stands scattered throughout northern Alberta and the event raised over $135,000 for the Stollery Children's Hospital - just incredible !! This post was made in partnership with Simply Supper. Opinions of the product are my own. I don't typically review food but when a new local burger joint opened up just a block down from our place we knew we had to check it out. YEG Burger opened it's doors earlier this year in the north end community of Caenarvon. Complete with a trendy name, a handsprayed graffiti mural and rustic wood panels and tables it's definitely a modern take on the average north end small restaurant. They have a great menu with lots of fun burger options including a breakfast burger, a grilled cheese burger, a donair burger and a buttermilk chicken burger - there's definitely something for everyone. They also serve hot dogs, corn dogs and milk shakes which I'm looking forward to trying soon. We ordered mushroom burgers over the phone and were able to pop down and pick them up 10 minutes later. The service over the phone and in person was very friendly. It's nice to be able to connect with a friendly face when so much of our north end restaurant scene is littered with chains. The hand cut fries were great and my husband enjoyed his burger, I don't normally order mushroom burgers but the photo looked amazing so I took a chance. I don't think I'm a fan of this burger style in general but I'm eager to try something different next time. Overall I'm super impressed with this spot and we'll definitely be back. Pure joy, euphoria, lightness, a slight flutter, a heart bursting with happiness and love; all feelings I experienced on one of the most beautiful days of our lives. Not going to lie though the road to victory was a path paved with hard work, tears, hours of organization, dozens of lists and a meltdown or two. I've said to many that if I could have known how much work it was going to take to get our wedding day off the ground I would have eloped. But now that the work has been done and we had one of the best days imaginable I wouldn't take back a single second of it. Together almost 9 years before we finally said I do, Ricky and I met while working together at the now extinct Northgate Futureshop when we were still just kids. On one quieter night in the store he showed me a slight of hand coin trick and the rest was history. I went to school to become a journalist and he began apprenticing as an electrician. In 2015 we bought our first home together and had our beautiful little girl Paisley. We have grown up together and we have fought every single day to be better people, better partners and better friends to each other and for ourselves. I know there isn't a person out there who has more of my best interests at heart or who could love me more completely. Alright now with all the mushy stuff out of he way :) On to the goods! The wedding: August 5, 2017. 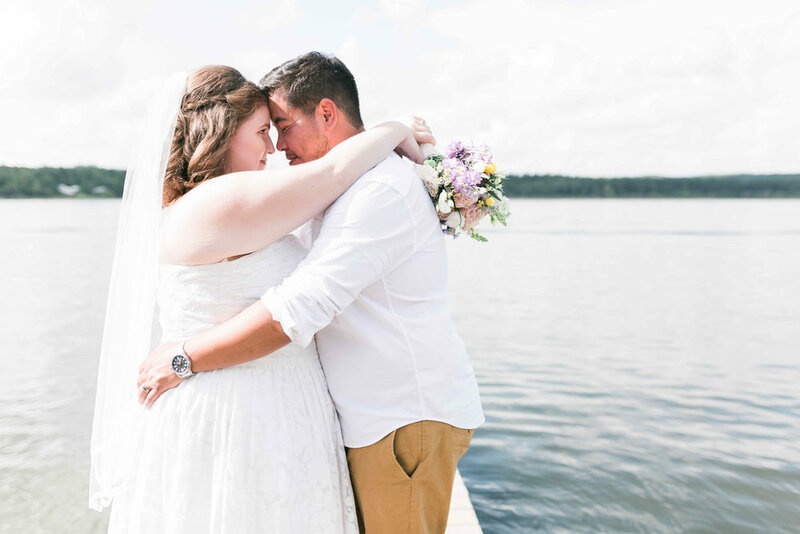 Our wedding took place over the August long weekend at Wabamun Lake's Moonlight Bay Camp operated by The Bissell Centre. The camp facilitates inner city families for retreats and the rest of the season it's rented out for events, reunions and weddings to cover the operating costs. With its own private beach, it's located just down the road from Wabamun Lake Provinical Campground about 40 minutes west of Edmonton. 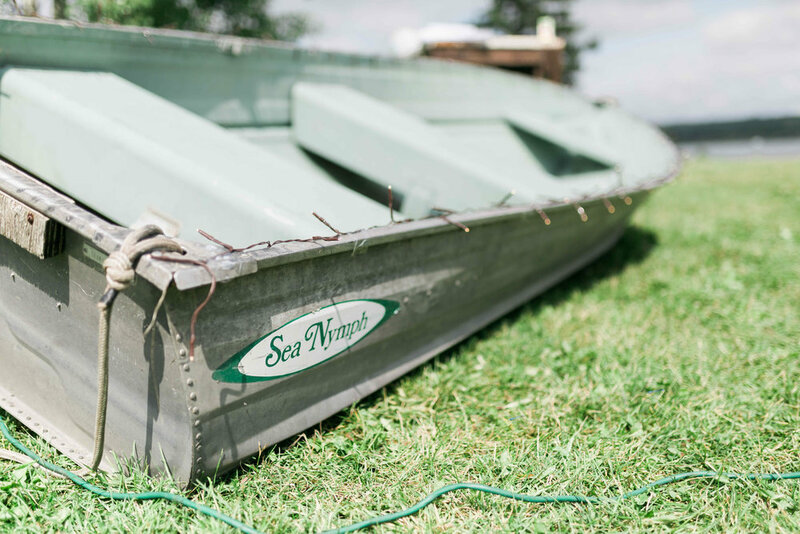 The property has 7 cabins with four double beds in each, a hall and commercial kitchen, a lodge style rec facility, a dock, a playground, volleyball pit, fire pit and more. I spent so many summers at this lake as a kid and now many more with ricky and paisley on countless day trips and getaways. It made for the most beautiful backdrop for our wedding weekend. We had a lot of out of town family coming in from Saskatchewan so it was the perfect setup for us. No one had to worry about accommodation. Everyone pitched in to get meals out on the Friday and Sunday, and it was so heartwarming to host all of our favourite people in one place for an entire weekend. Picked up my dress off the rack from David's Bridal for about $260. Honestly I didn't even think to look and see what designer it was, cause that's just how I roll. I tried it on and it fit perfectly. It was an a-line, full length strapless with gorgeous woodsy lace overlay and fit perfectly with our lakefront venue. One add on I would shy away from was the gown cleaning service for $199. Because the dress was well tried on when I bought it, the sales rep convinced me to send it away for cleaning and the dress actually came back with the lace completely shrunken down. The store did a great job managing the issue and had it fixed right away and within a few weeks I had my dress back. I was mostly unimpressed with the company they contract the cleaning out to, they just packed it up all shrunken down and shipped it right back to me initially without saying anything. My in-store experience at David's in Southgate was great - I just would have chosen to get it cleaned locally had I known what a hassle it would have been ahead of time. Loved the dress though - I definitely had the 'it dress' moment in the store that I wasn't expecting at all. In my time working in media, I feel super blessed to have been able to work with so many talented florists and floral designers in my days. Cory Christopher, Fabloomosity and Kuhlmann's are some of my favourite. One thing I wanted to do with our wedding however, was find those hidden talents and help support them in the growth of their small businesses. I spent a lot of time scouring the buy and sell pages and other blogs to ensure we partnered with the right people for our budget and the aesthetic we wanted to achieve. 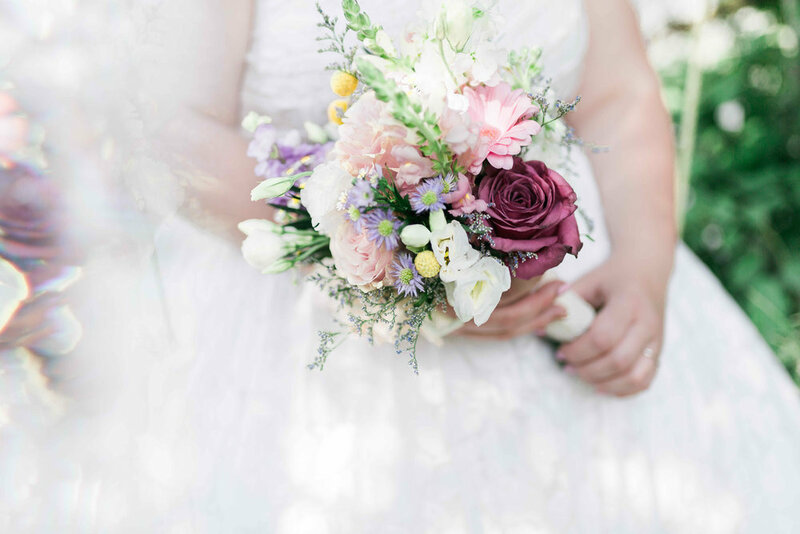 Therese Lopez Florals was exactly that for all of our floral needs. We had a smaller order, one arch piece, three bouquets and seven centrepieces but from the very beginning Therese patiently considered and executed all of our requests flawlessly. We went with a colourful wildflower look to tie in with the rustic outdoor setting of our wedding and they turned out better than I could have ever imagined. We booked her in before a rate increase and paid just under $700, but she's still very reasonable. Seriously don't even think twice about booking with her - you won't regret it! In keeping with the thread of finding up and comers I tracked down our photographer through one of the buy and Sell pages and I could not be more thrilled with how our pictures from the day turned out. Mandy from Mandy Landry Photography spent the entire day with us from hair and makeup all the way to the final toasts at the reception and she beautifully captured every magic moment in between. I believe her rates have also gone up since I booked with her but we paid $600 and that included travel and a free engagement session. Her portfolio isn't super robust in the wedding area but her pictures are just gorgeous - seriously check her out on Instagram here. She has such a kind soul and I would recommend her all day long ! For the reception dinner we had a catered BBQ Buffett from Memphis Blues in New Castle. We selected a menu of three meats and four sides including: applewood smoked beef brisket, authentic hand pulled pork, BBQ pit smoked pork ribs, coleslaw, potato salad, BBQ pit smoked beans and cornbread. Every chowed down and loved it, and for 50 guests with travel and chaffing dish rental and dinner service it all came to about $1200. One tray of cornbread was slightly undercooked and we did have to hire out for a dishwasher but other than that we had a great experience. I will mention that this was not the first BBQ restaurant we approached, we booked a tasting at Smokehouse BBQ and the owner didn't show up. After we proceeded to email him for a quote he never even responded so needless to say I was quite pleased we ended up going elsewhere and Memphis was certainly the right choice. 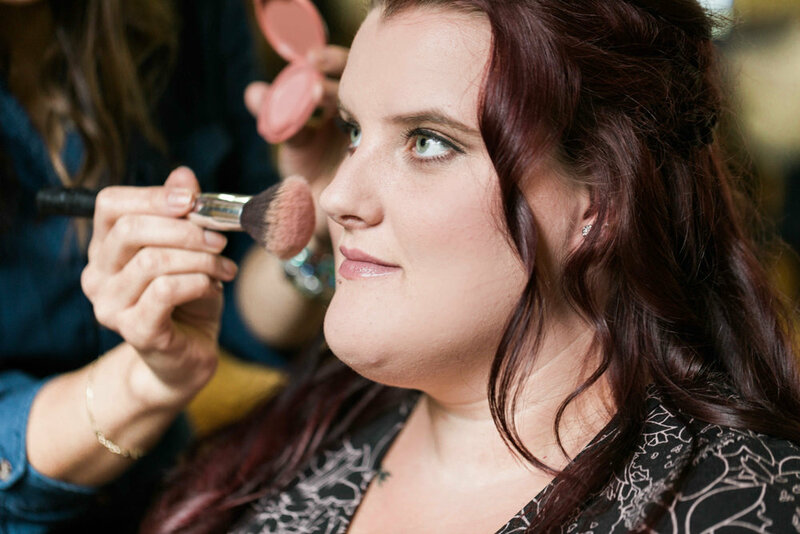 After some pretty outrageous quotes from other companies that specialize in on-site wedding hair and makeup, I was able to track down the owner of Salon Montage in Spruce Grove and they were great to work with. They sent the stylists straight to Wabamun to do our looks on-site, which was nice, not having to leave the venue and head back in town just to get hair and makeup done. We had such a beautiful time getting done up, listening to an awesome playlist my Maid of Honour had put together and just enjoying a few quite hours of peace before the day really got going. My little one, Paisley even came in and hung out for the longest time, it was just such a great energy and the ladies did such amazing work. It worked out to around $550 for all three of us to have our hair and makeup done which is super reasonable and well worth it. One word: Canva! 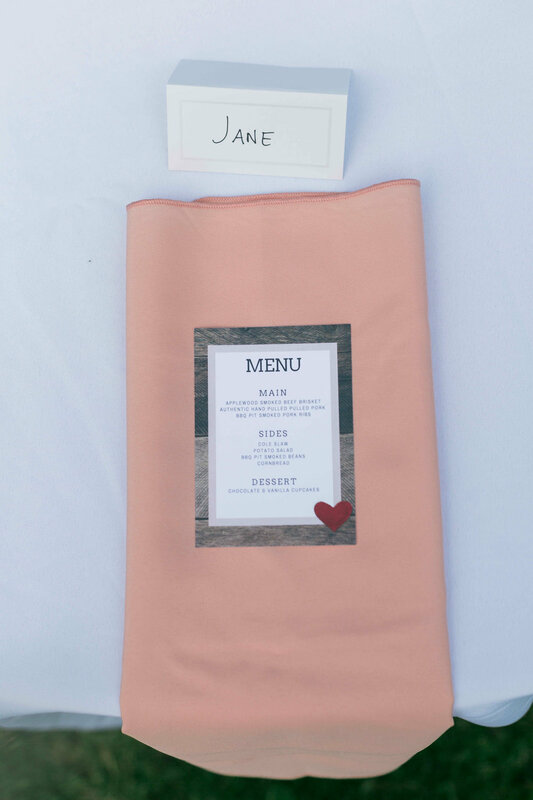 This platform is super user friendly and I designed all of our save the dates, invites, seating chart cards and menus by myself for free. Using this site made it super easy to customize to my liking and I just ordered the prints online through staples. So great! Hosting an entire weekend wedding outside of the city is definitely a group effort and I could not have done this without all of the hard work and love our friends and family poured into this day. A big thank you to our parents for so much support along the way! Dad was a rockstar in set up and tear down and my mom literally crafted and shopped for a straight year to help me with all of the little details :) Our amazing wedding party consisted of my best friend Erika, cousin Christine, Ricky's best friend Craig, Erika's man Steven and Christine's husband James. These people are our rocks and it was so special to have them all by our side on the big day. Erika's mom Christine also deserves a huge shoutout for keeping my mom sane the day of and helping so so much, she was amazing the entire weekend! And of course a thank you to all of our friends and family from Saskatoon that travelled the six hours to celebrate our love and witness us saying I do! And a final thank you to my husband. I grew up a very independent, driven young woman and honestly there was a large time in my life when I truly needed no one and thought I would never get married. But 9 years later you have softened my heart, given me the most beautiful and smart daughter imaginable and I truly am so grateful to call you my husband. I want to get a little bit sentimental today which isn't something I normally do but as I was tidying up the living room after I got P down for bed I couldn't help but smile as I straightened out the picture frames on the feature wall in our living room. I straighten these frames multiple times a day, and I've often been annoyed by their constant disarray, but on this day they were crooked because early in the day Paisley had climbed up behind me and perched herself on my shoulders at the top of the sofa before proceeding to 'braid my hair'. Now I don't know about most two year olds but P certainly hasn't mastered the art of hair braiding yet, but it was so sweet how she gave it her all and it was such a beautiful moment to spend together. I certianly owe moments like these to my freelance work in PR. Instead of rushing out the door at 7 am to drop paisley off and make it to an 8 am office job I am lucky enough to have the freedom to sit in on hair braiding sessions until we get going at 10 am, or to make some yummy raspberry and yogurt parfaits together, Paisley of course getting smears of raspberry juice on her face, war wounds of fun! So while straightening picture frames a million times day or letting my little one throw up right into my cupped hands after she looks up at me with eyes of desperation, I will gladly do it over and over again if it means I have her. I wouldn't trade in any typeof lifestyle or perfect parenting ideal for the amazing smiles, giggles and screeches of excitement she shares while paddling herself around in the pool on her own for the first time or when she asks me to sing songs for her like the 1972 version of 'Lean on Me' by Bill Whithers ( this kid hasawesome musical taste by the way ) . I treasure every moment with my incredibly bright little sassy monkey. 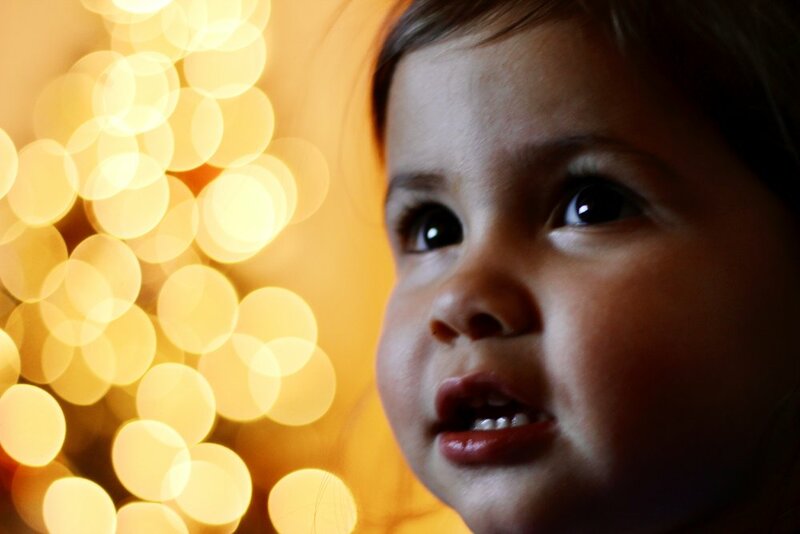 Kids do really flip the switch on your life in a profound, messy, scary and amazing way. Can't wait to be right beside her as she explores all of the wonder this world has to offer her curious soul. These socks from Grandeur Design YEG are adorable. Let the mama in your life sit back, relax and sip on her favourite red. These would be great paired with a lovely bottle of wine from Sherbrooke Liquor Store . This simple but sweet rustic kitchen sign from William Rae Designs is the perfect gift for the home cook. Pair with a yummy treat from The Italian Centre Shop and you've won over any foodie mama. This fun gift box from PLANTiful has everything a green goddess needs to feel fabulous. Specializing in plant-based and organic skincare you can look great the natural way! The Hungry Hippo Bakery makes the most adorable cookies I have ever seen. You can find them at local markets like the Capilano Farmer's Market. These are not your mother's heating pads! Reflaxation makes hot cold packs from organic flaxseed. Fun handmade designs will ensure the mama on your list is stylish while she unwinds. Baby P and I had the pleasure of taking part in the Music Box Babies Pilot Program in February and we had an absolute blast. Now open to all YEG parents and little ones Music Box Babies is running a Five Week Program Staring May 17. Designed for little ones age 0-36 months, these classes are a great way to learn some new songs and actives to engage your child's sensory, motor and memory skills. The activities are simple and the songs are fun and easy to remember. I loved how quickly Paisley picked up some of the lyrics and rhythms and she was soon holding her own Music Box Babies sessions at home. The instructors are fantastic and the Winspear is such an amazing venue right in the heart of downtown so it makes for reasonable access to anyone pretty much anywhere in the city. Tip: arrive earlier to find a good parking spot on one of the side streets along 97th. We never had a trouble finding a space and the rates are a bit more reasonable than the import lot attached to the Winspear. Although there's still a few patches of snow melting off here and there, this north yeg mama can't wait to get her patio garden going once again! There are some great Northside events happening this weekend, check them out and get inspired for the upcoming gardening season! Times: Sat: 10 - 7 p.m. & Sun 10-5 p.m.
Times: 9 a.m. - 6 p.m.